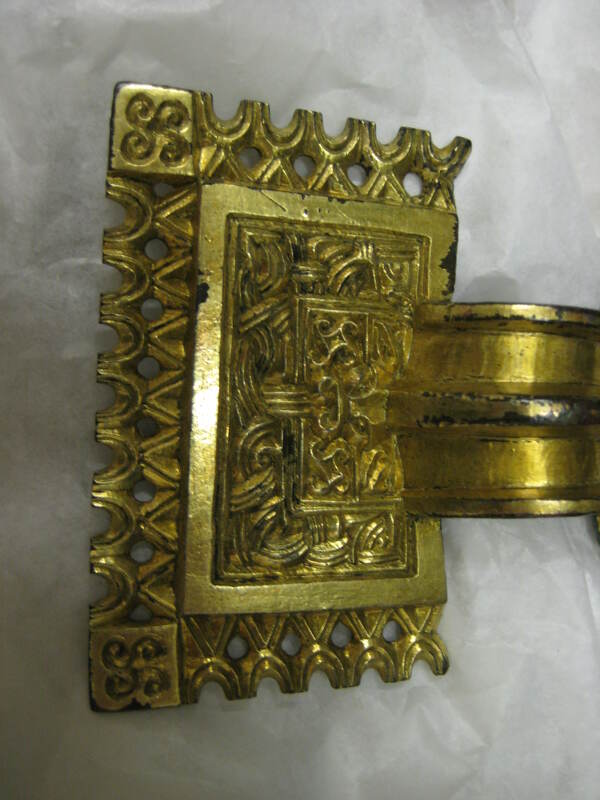 The large square-headed bronze brooch is a magnificent example of ornate design and workmanship. It is richly gilded on the front and silvered on the back. 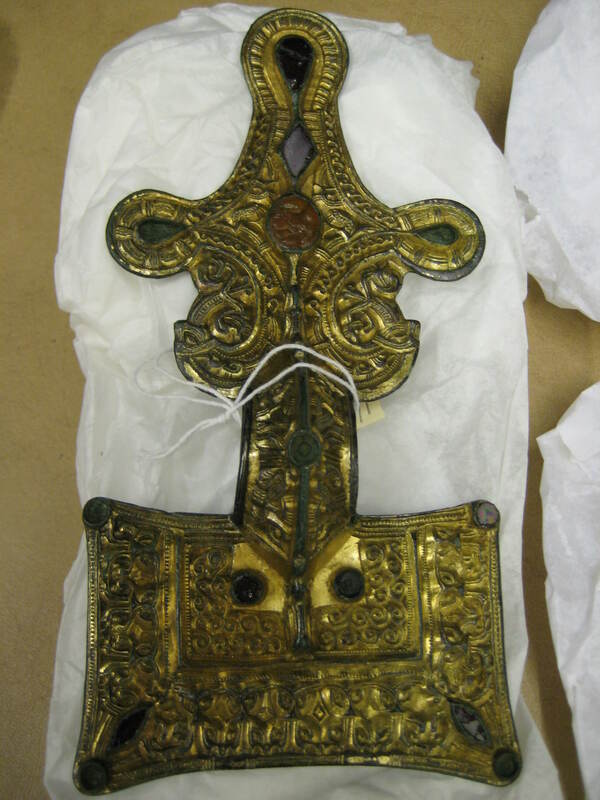 The head-plate has an outer border of zoomorphic ornamentation surrounding a panel of scroll-work. 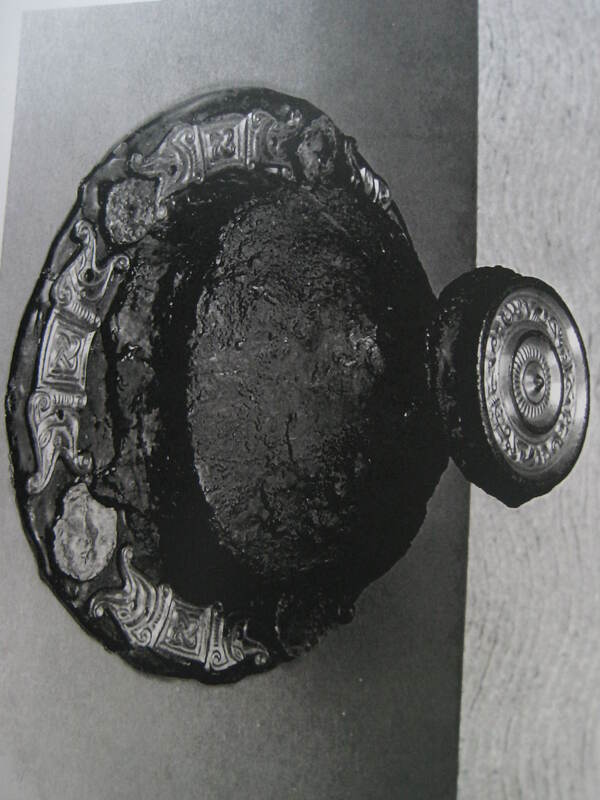 The brooch was enriched with 13 garnets and in the centre of the foot is an oval cornelian from a Roman seal-ring, upon which is incised the figure of Cupid milking a goat. This is a square-headed brooch from a rich female grave. It is made out of cast bronze, gilded and ornamented with the intertwined shapes of animal figures and heads. 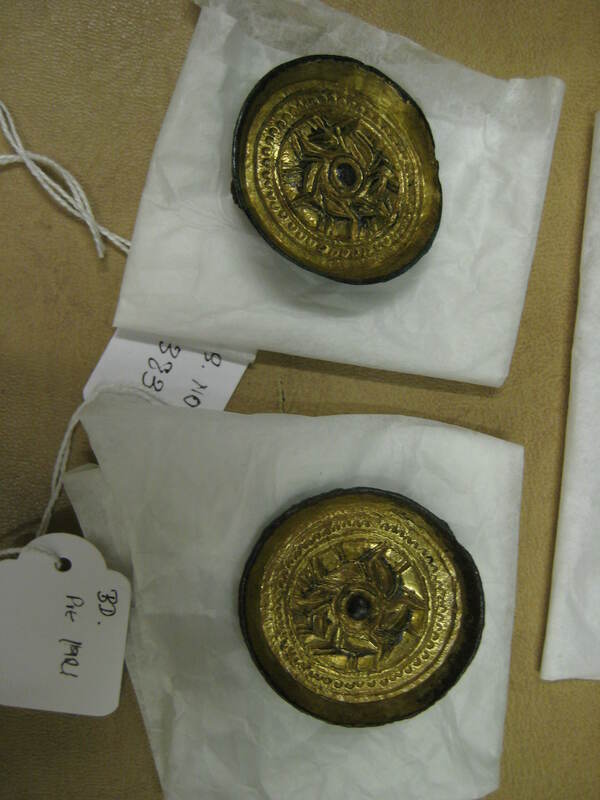 Both of these beautiful brooches came from the archaeological dig at Alveston Manor which took place during the 1930s. 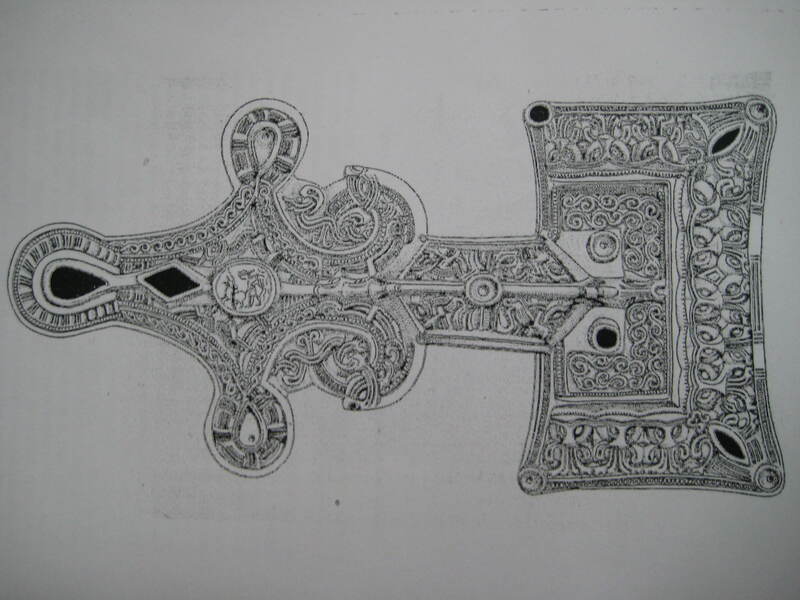 The merit of the great square-headed brooch to the Anglo-Saxon artist was the large surface area which allowed for great ornamentation which is seen in these examples through the Animal Style I (Salin, 1904). The first brooch is especially ornate with spiral and linear decoration with coloured glass and white shell inserted. 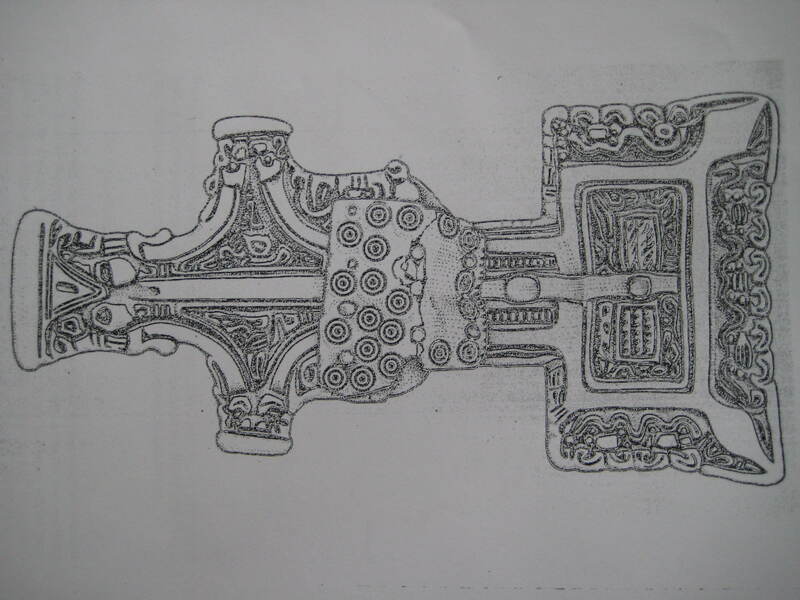 It is believed to be dated in the early 7th C.
The method of construction of these brooches by casting has been suggested by Leahy (2003) in his book ‘Anglo-Saxon Crafts.’ A pattern would have been made to give the outline shape of the brooch, this would then be embedded into a block of clay/sand mix and a casting gate cut. The second half of the mould is then made on top of the first part just made. The two halves are then separated and the patterns for the catch plate are pressed into one side of the mould. The decoration is cut into the face of the other half of the mould. These halves are then put together, baked, heated and the molten metal poured in. 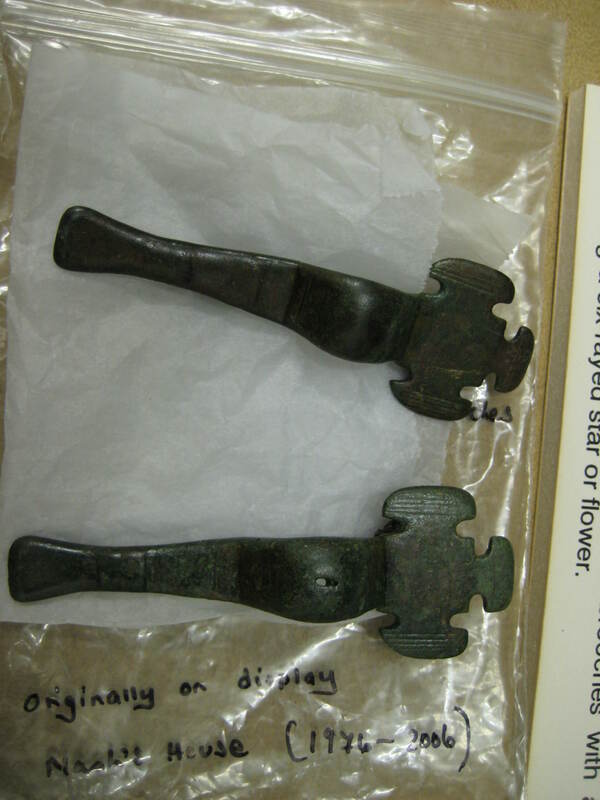 As noted by Gelling (1992), for much of the period during which grave-goods were deposited with the dead, the grandest female personal ornament which could be aspired to by wealthy people in most of central England, was probably the great square-headed brooch. 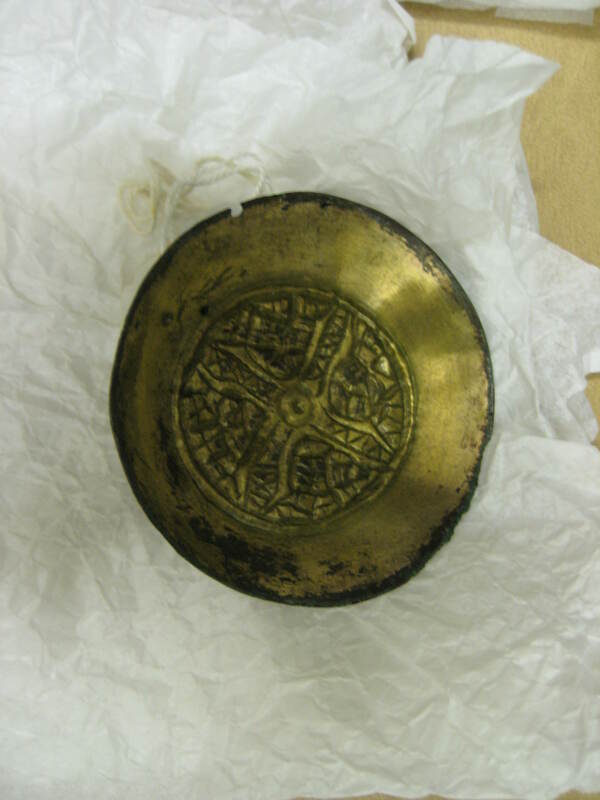 Such a brooch would be used to fasten a cloak at the neck, whereas smaller brooches, such as the earlier cruciform, the small-long and the saucer types, were worn in pairs to fasten a tunic on the shoulders. 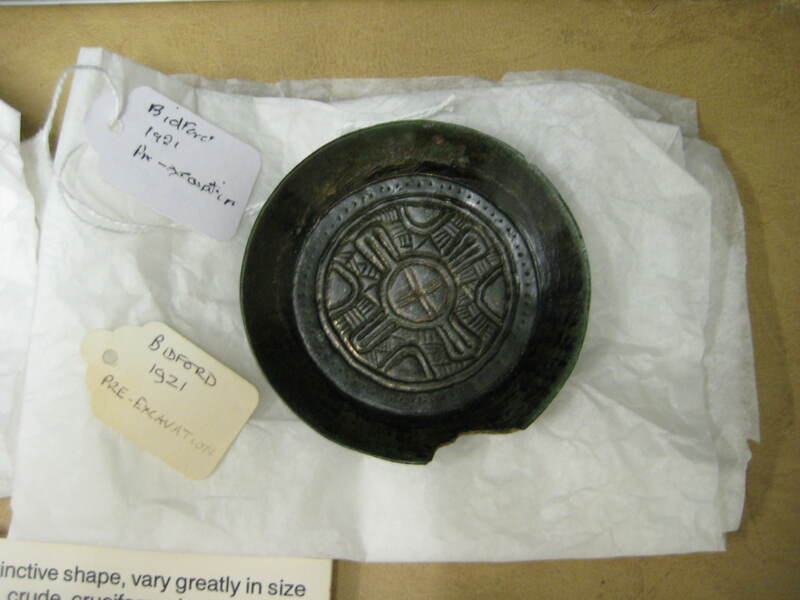 In all the Avon cemeteries the earliest elements are Anglican in character, and these early grave goods indicate colonization from the north-east, beginning in the late 5th C. Saucer brooches (for example, at Bidford) are likely to belong to the 6th C and show early settlers had contact with the East Midlands, especially the Cambridge region and that the saucer brooch phase marks a later period of trading contact with Wessex. The Avon valley has a great diversity of brooch types, including some which are characteristic of southern England in addition to the Midland types which might be expected. 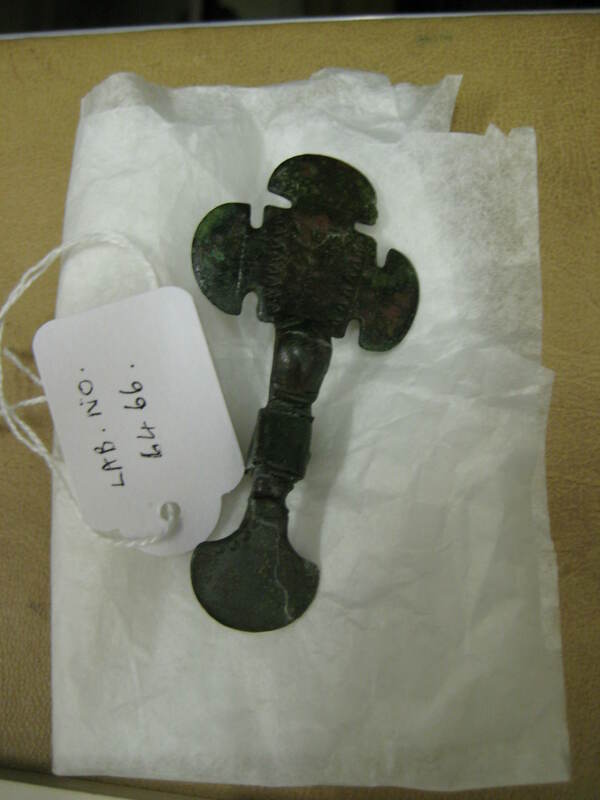 South Warwickshire has the ‘small-long’ type of brooch (see above) which are predominantly Midland and East Anglican in distribution and are rare south of the Thames. 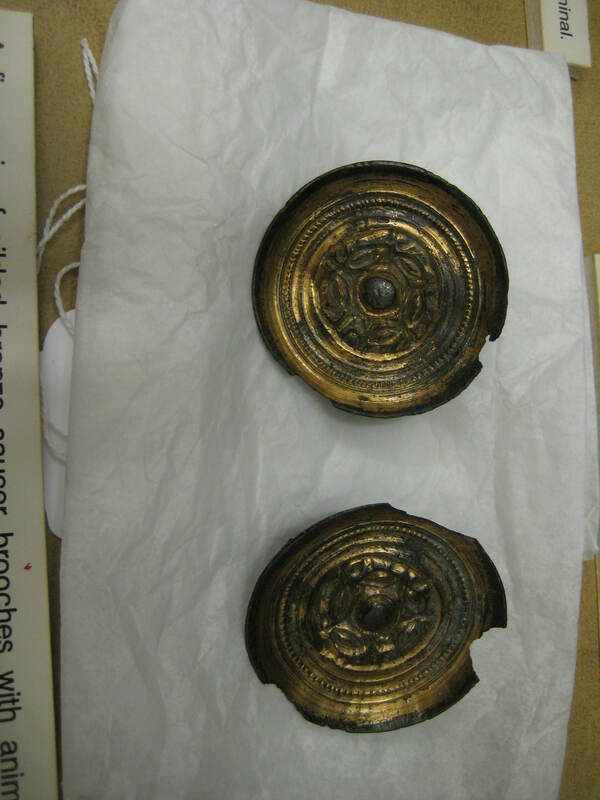 Annular brooches are also popular, as well as the disc (saucer) brooches in the Midlands. 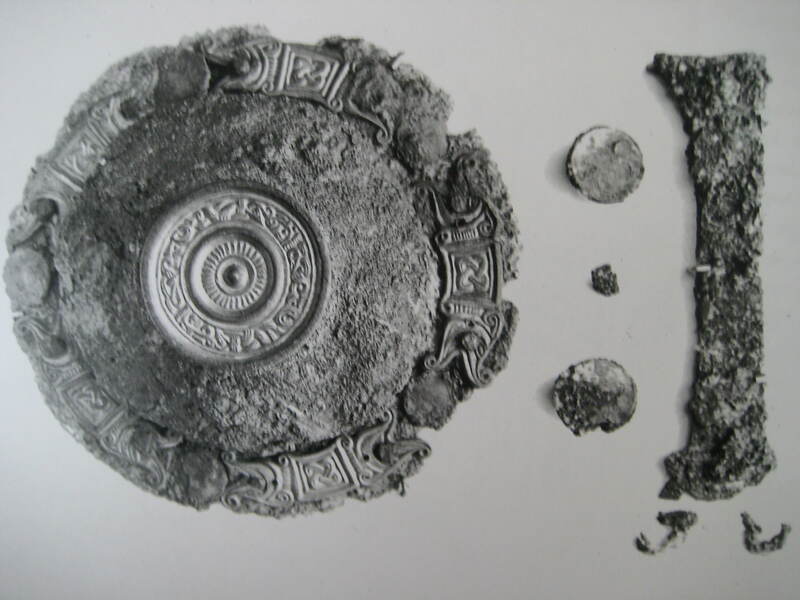 The central core of graves at Alveston contained disc, annular and penannular brooches. 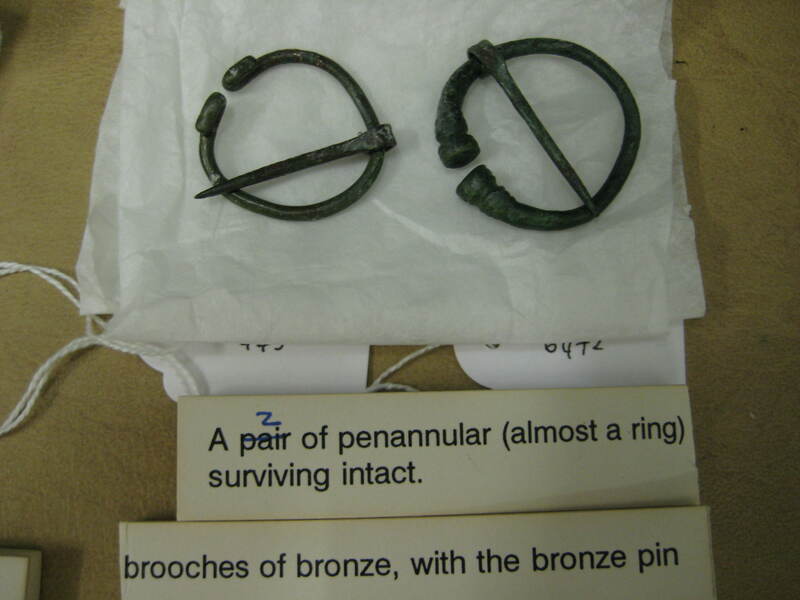 Ford (1974) believes these to be the commonest brooch-types in the Avon cemeteries The cruciform is the typical Anglican brooch, but only a few specimens have been found in Warwickshire. 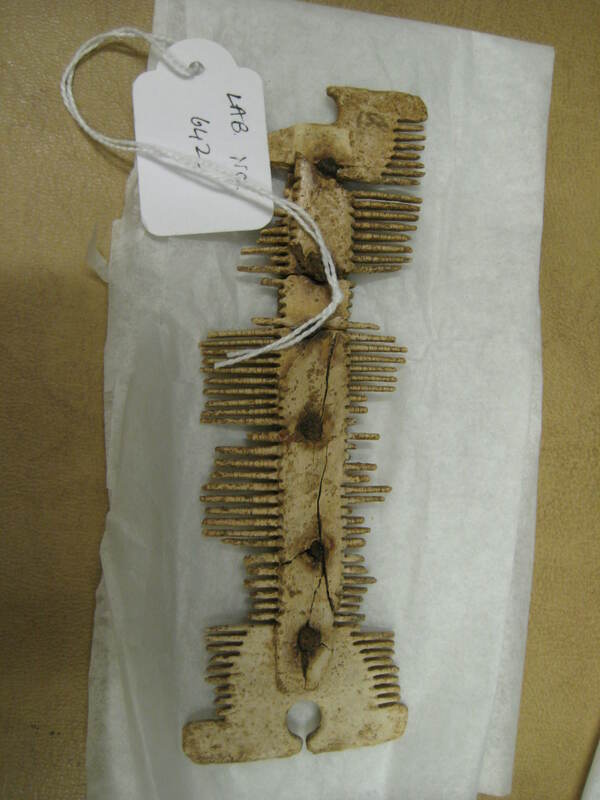 Also, this amazing Anglo-Saxon comb was on display! 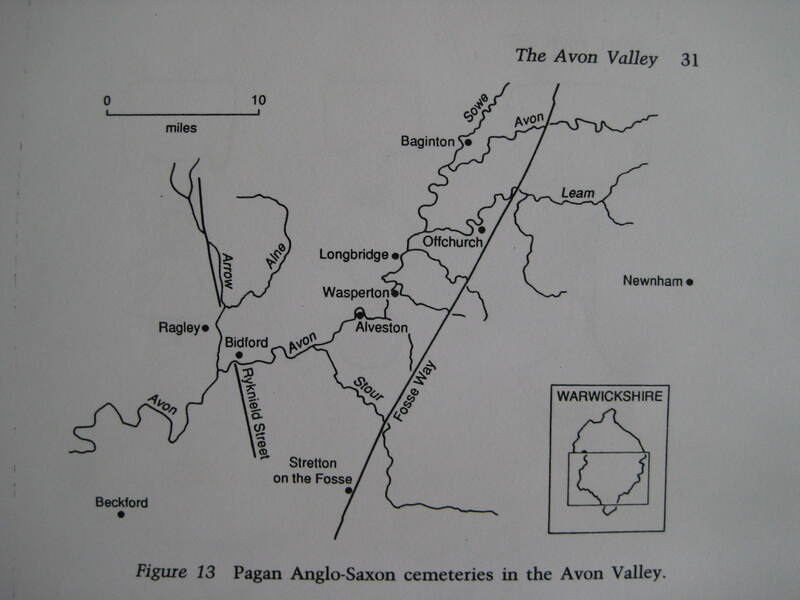 Through evidence found at these grave sites, it is believed that the West Midland settlers of the Avon valley were likely to have come from the Cambridge region. 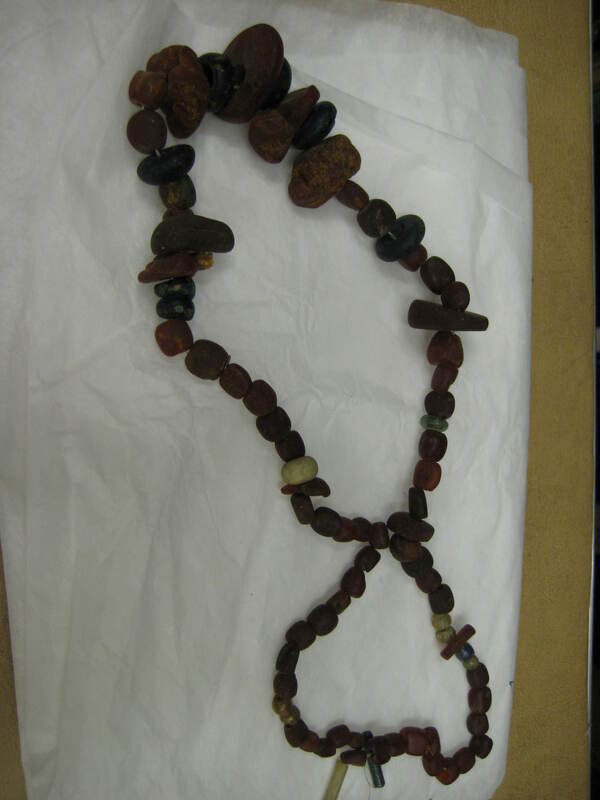 They were most probably a small population scattered among the earlier inhabitants of the fertile lands bordering the Avon in South Warwickshire and the adjacent part of Worcestershire. They were not so numerous to have replaced the native British people of this area, certainly not numerous enough to have formed a reservoir for the colonization of the rest of the West Midlands. 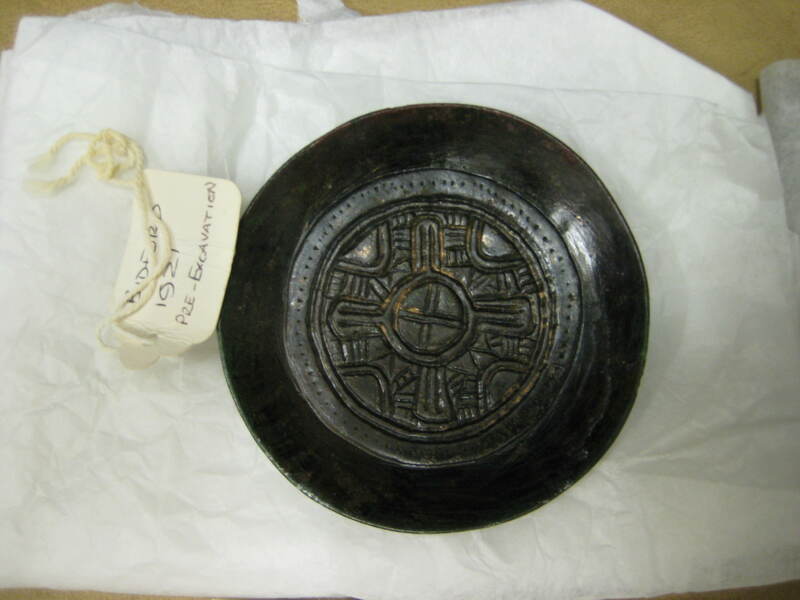 In the later 6th C they established trading links with the people of the Thames valley and in the 7th C their territory formed part of the sub-kingdom of the Hwicce. There is no reason to suppose that they played a significant part in the establishment of the kingdom of Mercia…but there may be lots more evidence to unearth, so nothing is certain. 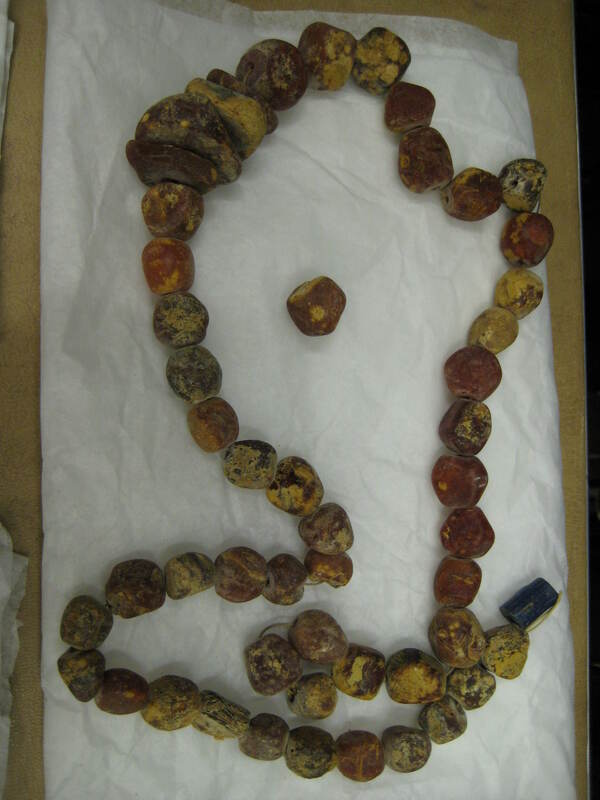 Phew, so a very busy time for research- hence why I haven’t been blogging as much! A big thank you to everyone at the Stratford archives for putting up with me, displaying the objects and finding all the records for me. Definitely an amazing resource which more people need to discover. Thank you!! Glad you enjoyed reading it! Hi there Kerry, The Saxon boundary of Northumbria and Mercia seems to be in some debate. Some maps show the boundary as the River Mersey whereas some maps show the boundary as my local River Ribble. 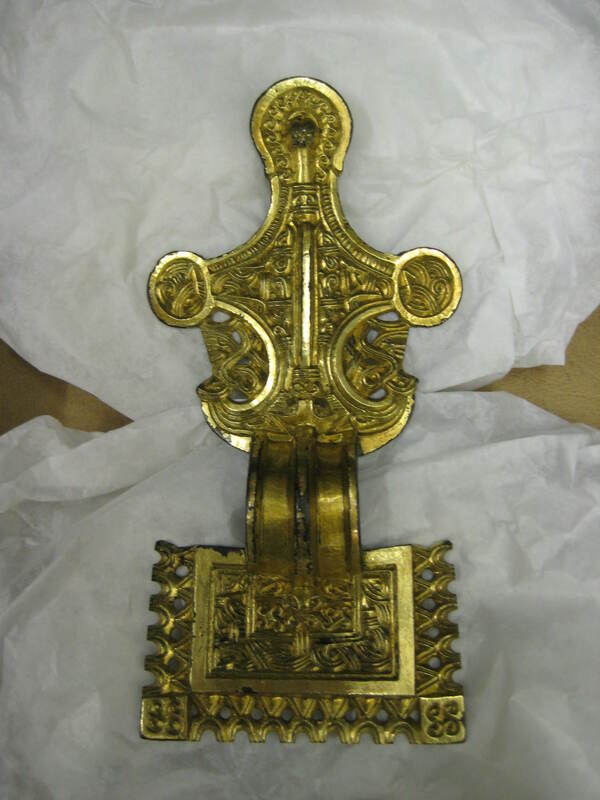 I know the Staffordshire Hoard has shed more light on the Saxons in England but there is still so much to learn. This is very informative and a great post for me. Thanks Kerry. SN. P.S. I’ve added you to my blogroll, I hope that’s OK. Yours, SN. Glad you found it informative! Yes, there does seem to be a lot of debate and unfortunately I’m not an expert yet in the topic but would love to be. Luckily I know a few people who are, and they all throw lots more debates into the mix! Thank you for adding me to your blogroll too!! Best wishes, Kerry.